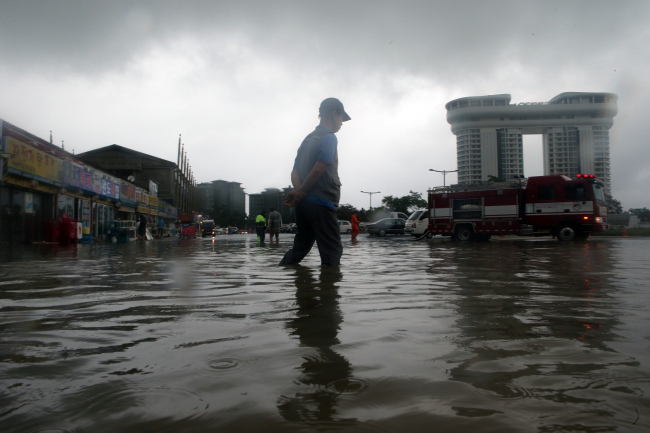 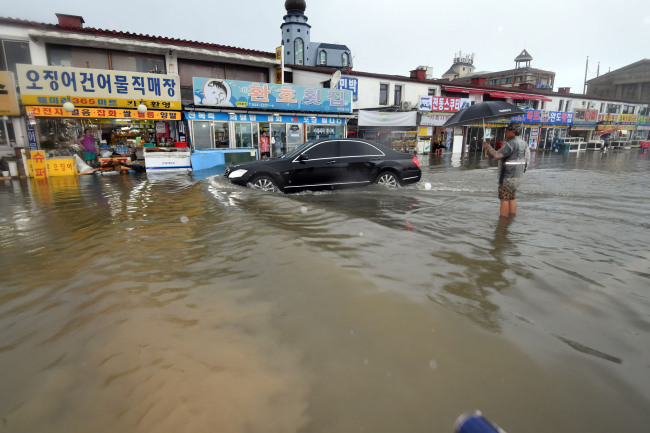 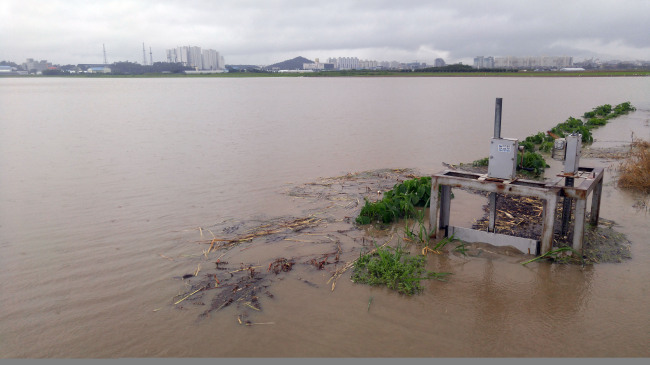 Monday’s unexpected downpour hit Gangneung, Gangwon Province, with more than 250 millimeters of rain, wreaking havoc in the region. 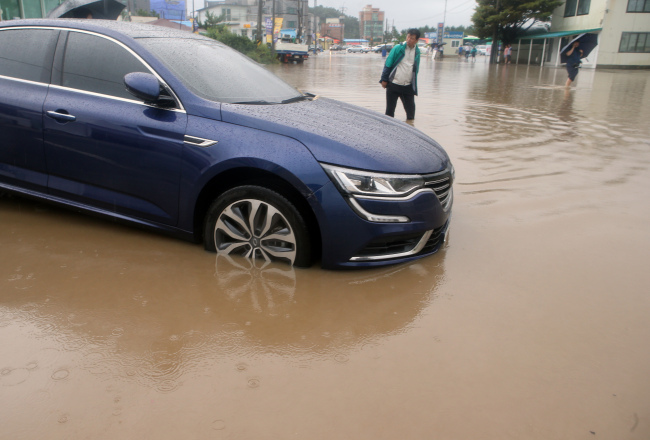 The heavy rain left commuters stranded on the streets, cars submerged in water and roads waterlogged. 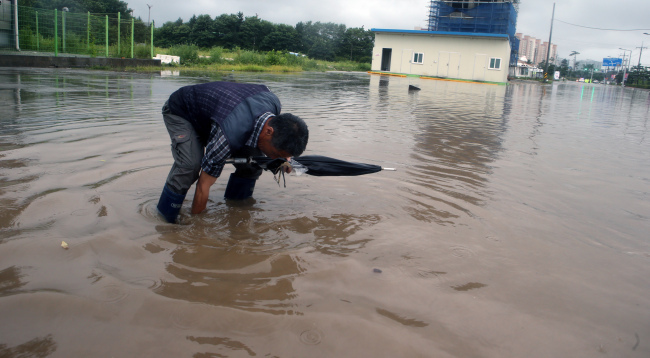 Local business owners were also affected by the rain as they had to close for the day. 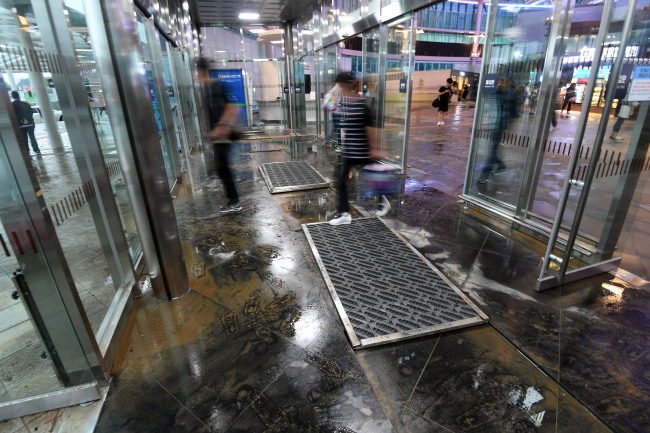 KTX bullet train passengers reportedly experienced difficulties, as they were stuck at the station due to a halt in operations Monday morning. 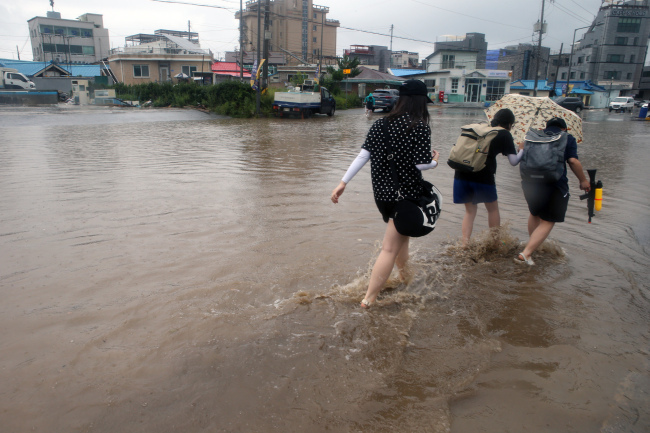 The eastern province received the second-largest amount of rainfall after Typhoon Rusa in August 2002, measuring 265.6 millimeters in Sokcho, 251.5 mm in Gangmoon, 179.5 mm in Goseong and 149.5 mm in Yangyang.